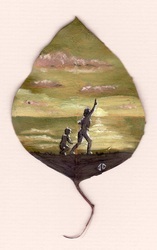 Here is a tip for you... Never answer a child if you weren't really paying attention to the question. 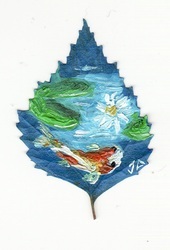 The paintings above were the result of this exact circumstance. I was working one lunch time with a student, helping him with some art tips on a drawing he was doing. 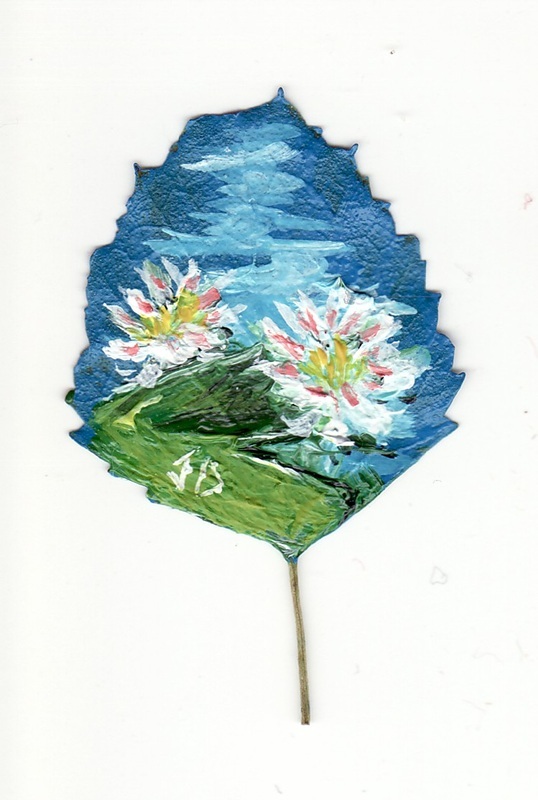 A few of the Year 5 girls were looking through my art book and came across three paintings I had done on leaves. 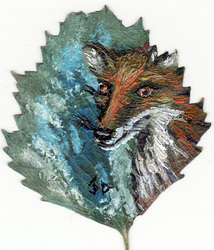 One of the girls asked me something. 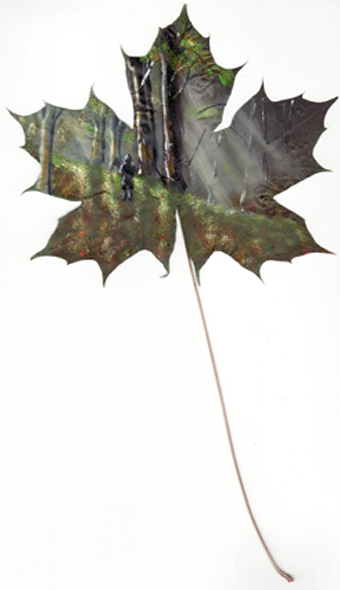 I was busy and shooed them off with "Yes, I'm sure that will be fine." About ten minutes later, it was like Autumn. Leaves were landing in front of me with requests for what each of the kids wanted painted on their leaf. 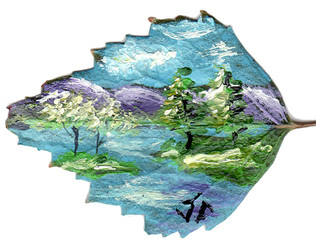 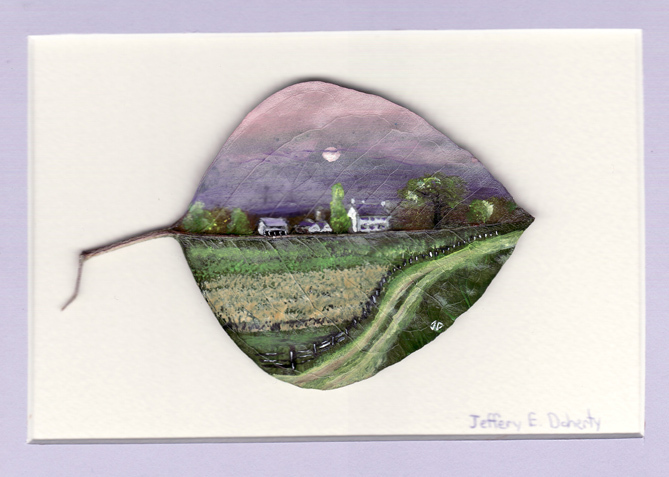 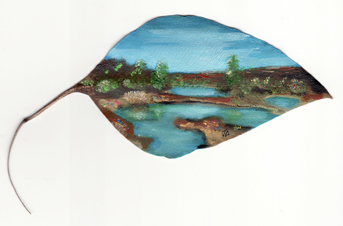 The question had been, "My Doherty, if we find a leaf will you do a painting for us?" I'm kind of sure there weren't a dozen of them looking through my art book, but I don't go back on my word. 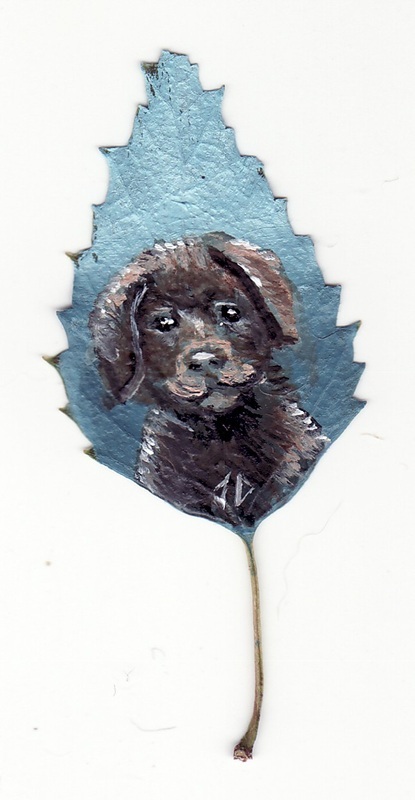 So, I painted each of the kids the picture they wanted. They were all delighted with the results. After doing the paintings for the kids at school, I decided to continue painting on leaves but I picked up some oil paints and decided I like oils much more than acrylics. 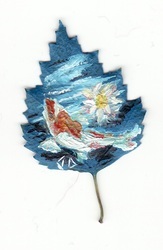 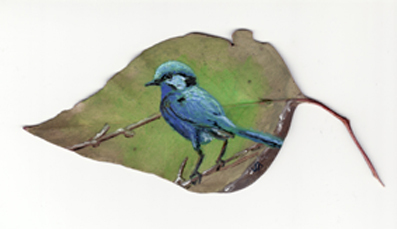 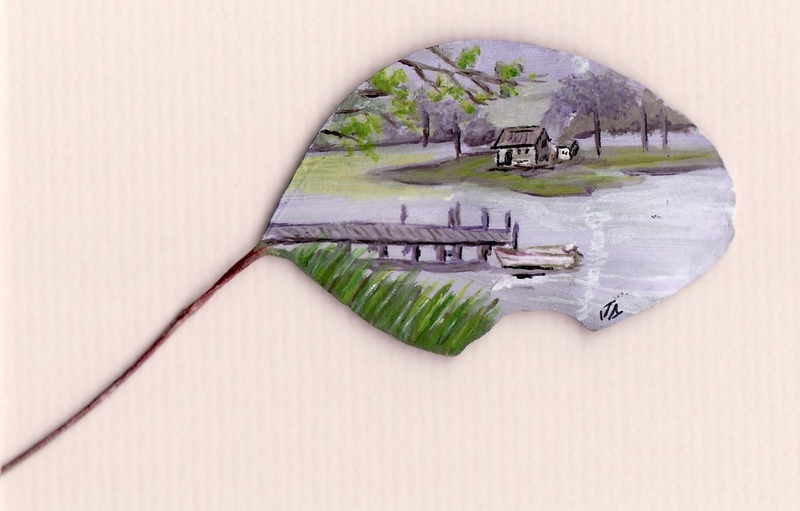 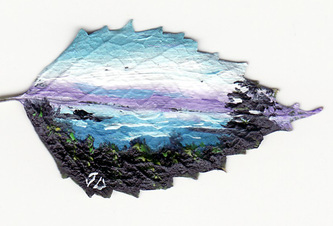 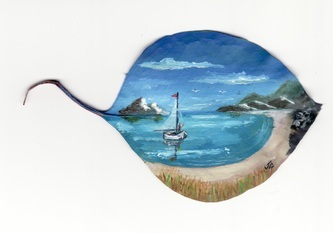 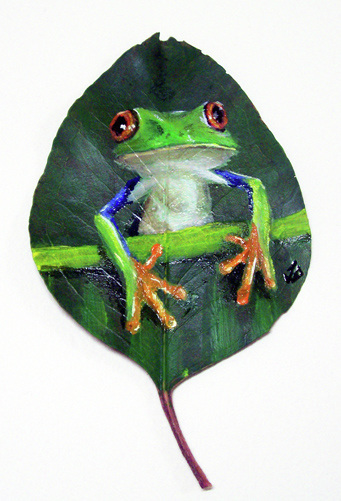 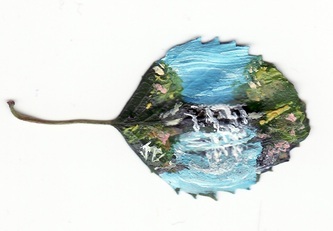 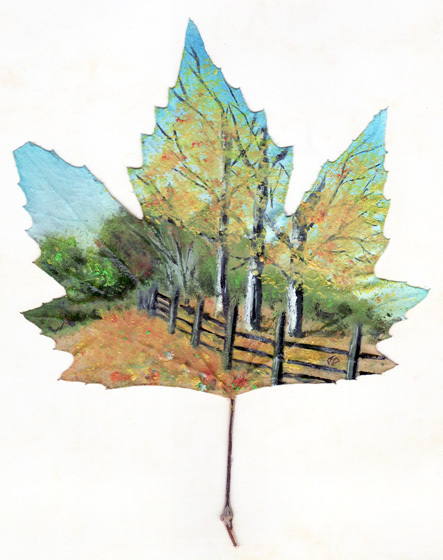 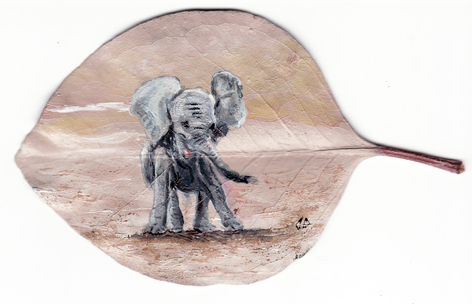 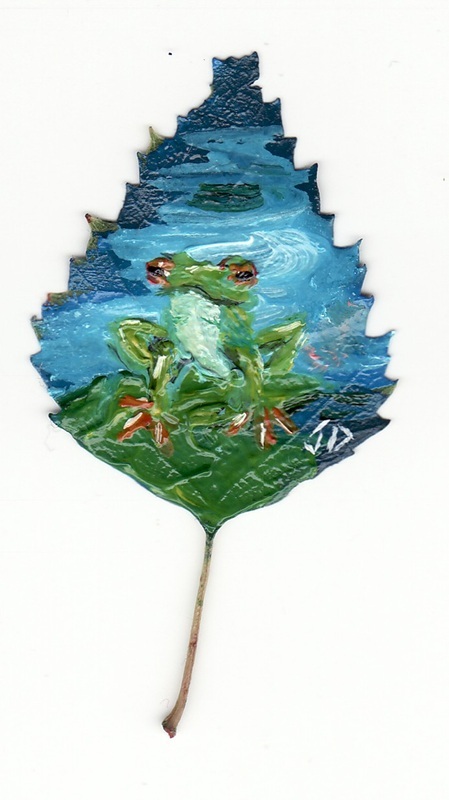 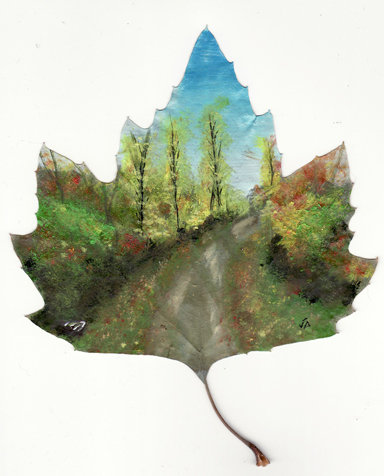 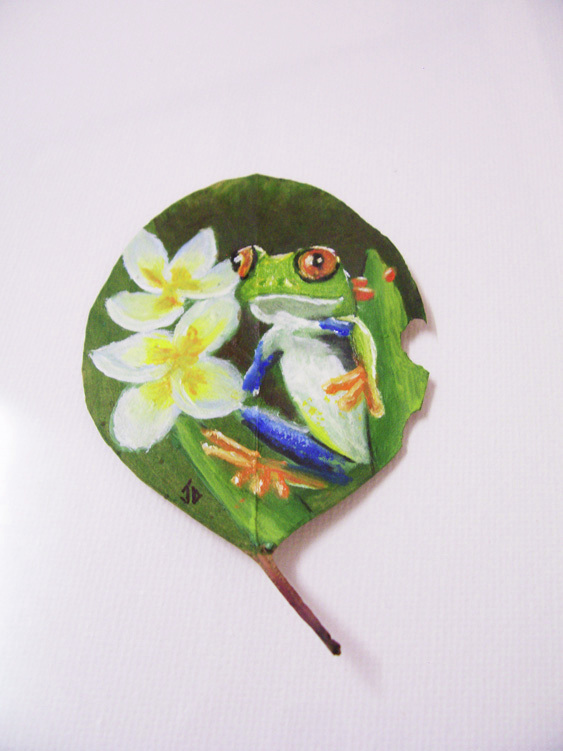 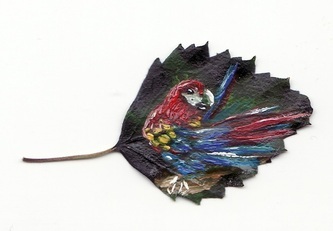 My leaf paintings are available for sale. 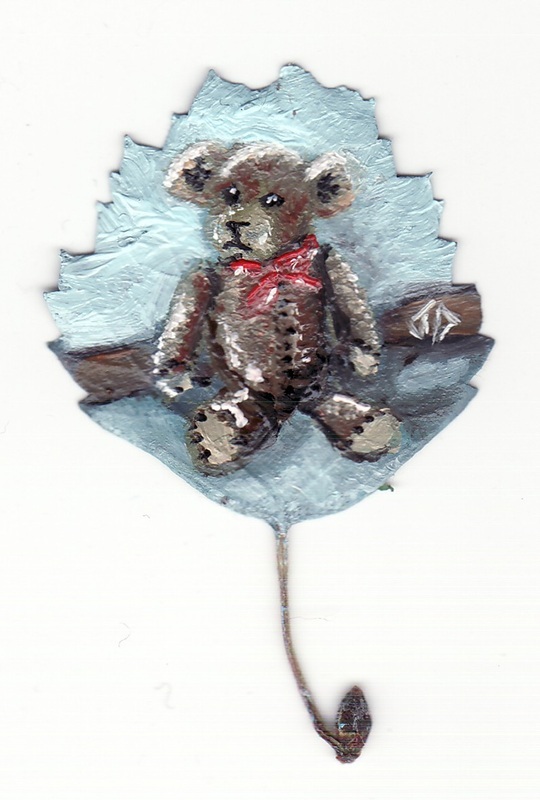 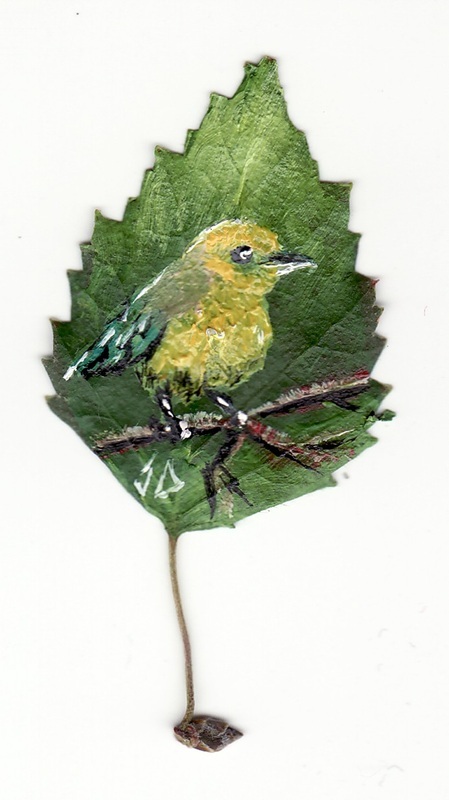 These next paintings are Oils on Silver Birch leaves. 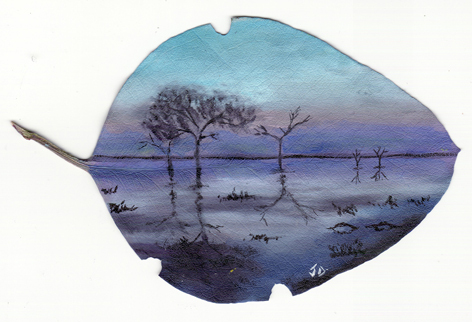 They are all smaller than 35mm x 24mm in size. 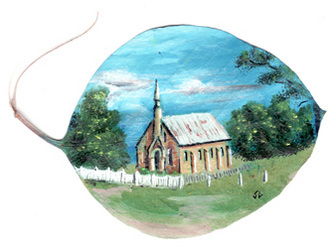 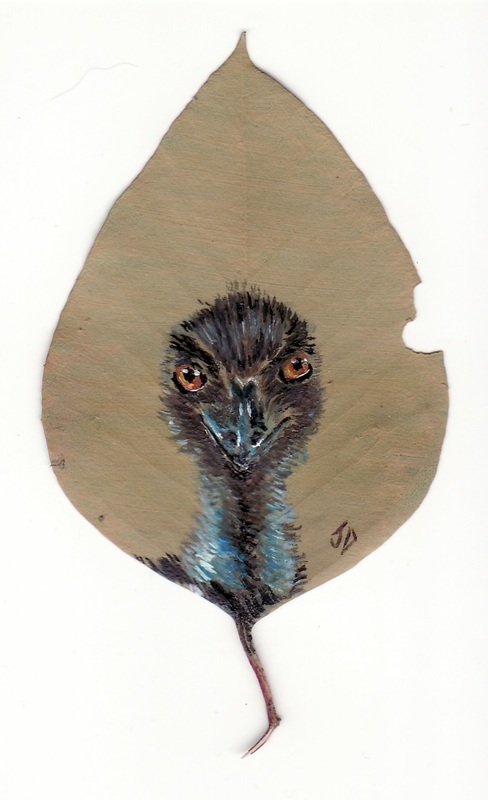 I have decided to take my paintings to sell at the local monthly markets here in Bathurst but realise not everyone goes to the markets with a spare money to buy art. 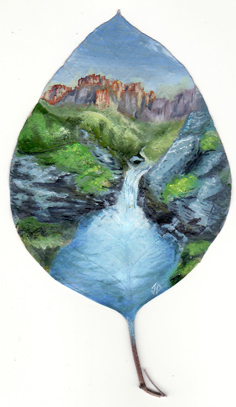 To make it worth my while, I had to think of ways to sell cheaper products as well as my original paintings. 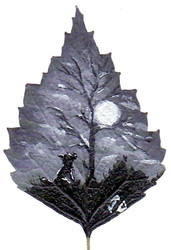 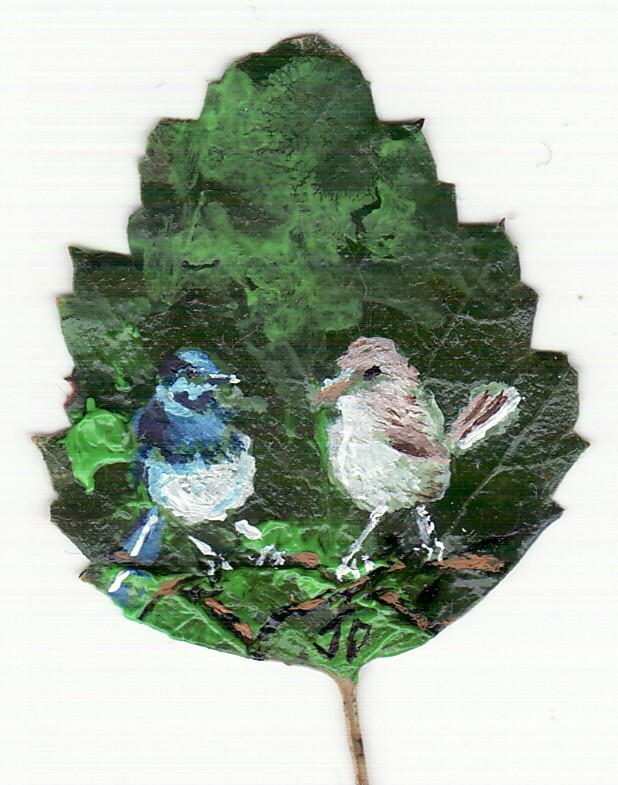 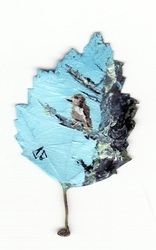 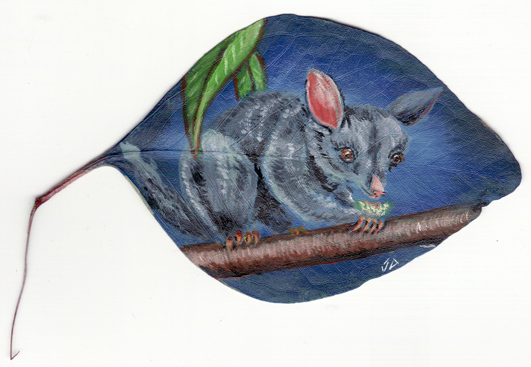 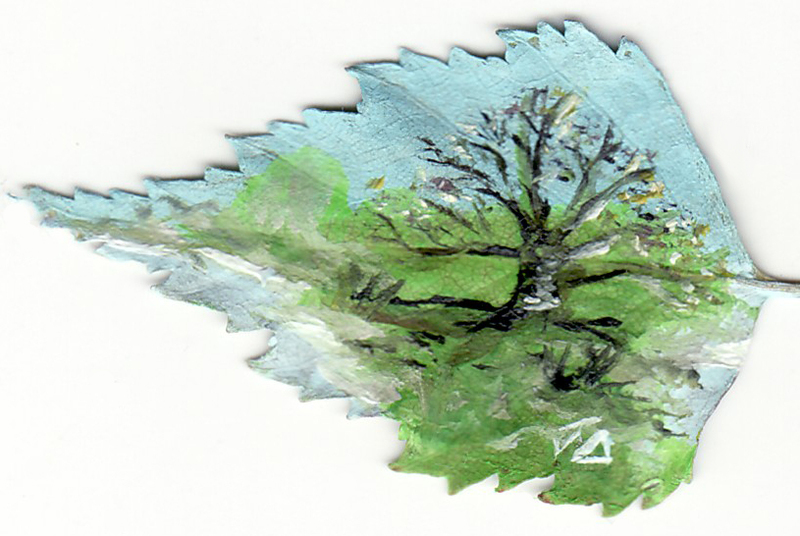 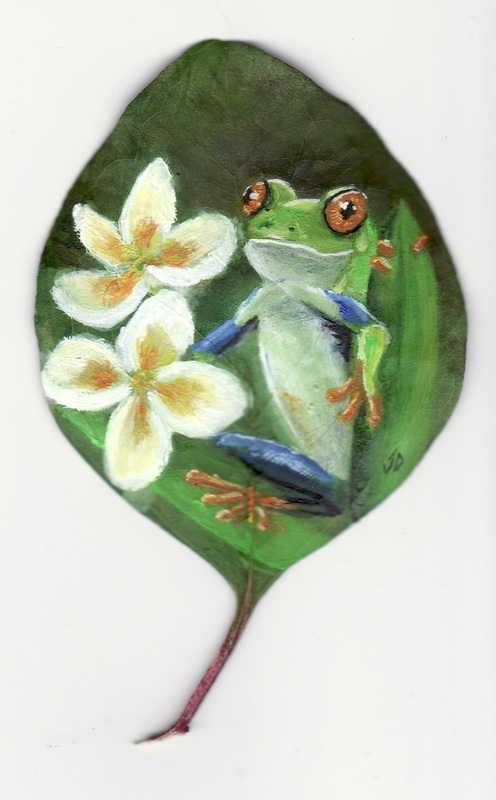 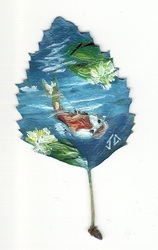 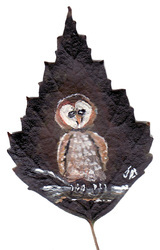 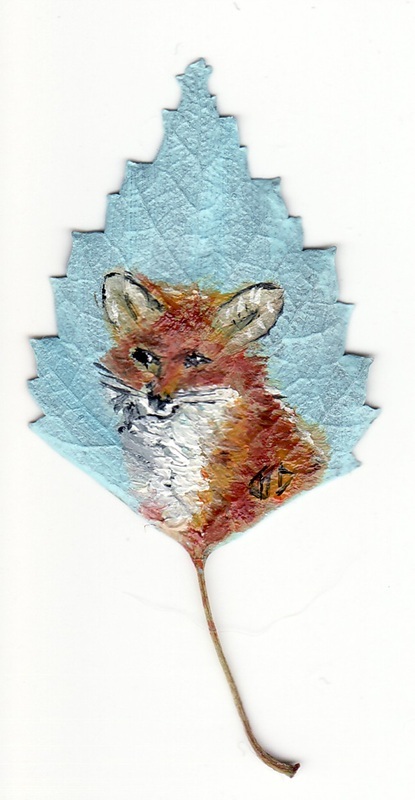 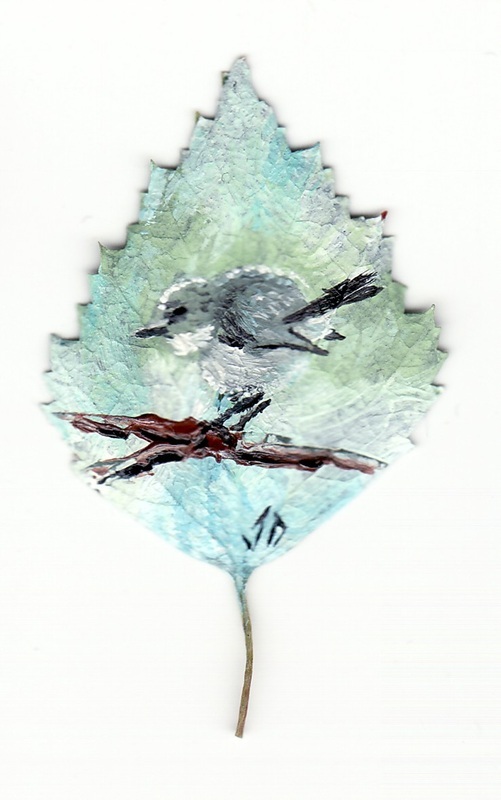 I have made prints of my leaf art and bookmarks displaying my artwork to sell. 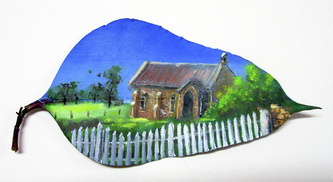 That was a start but I found a supplier of the clear acrylic key rings, the type you put photographs in. 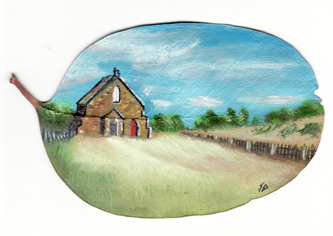 My first thought was to shrink some of my pictures down to fit into the 35mm x 24mm window. 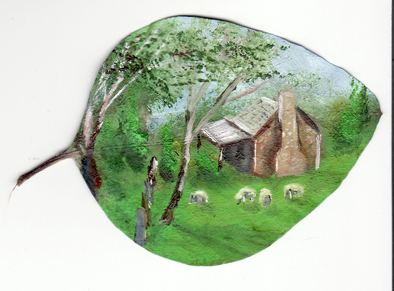 But, I found that the smaller leaves on my silver birch tree were the perfect size to fit into the key rings. 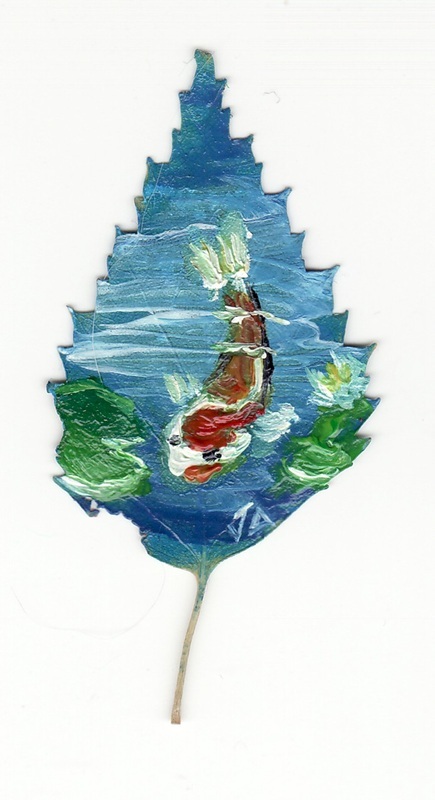 I painted the first koi fish and the frog pond pictures, just to see if I could. 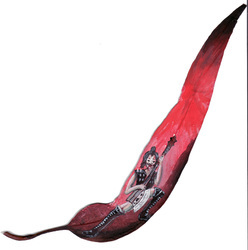 And I could! 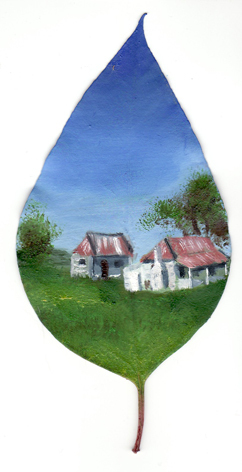 That was the start of Paintings For Your Pocket. 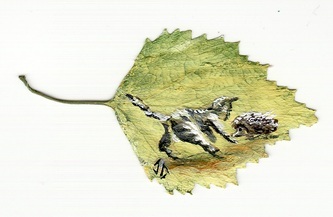 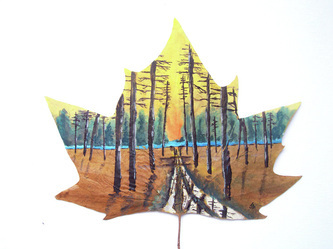 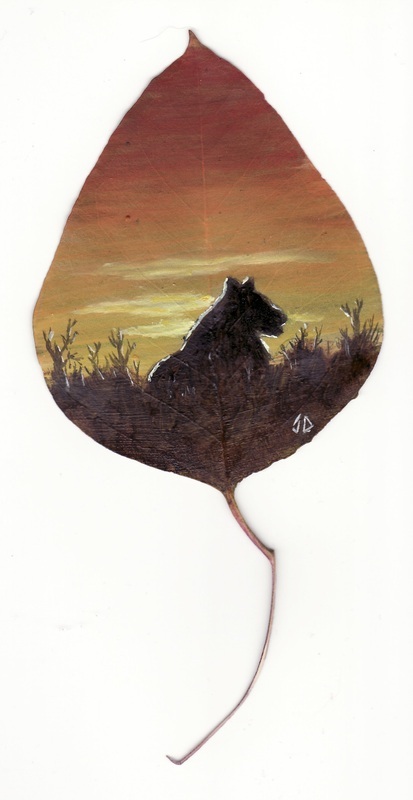 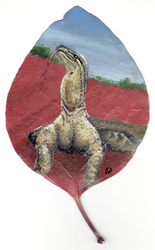 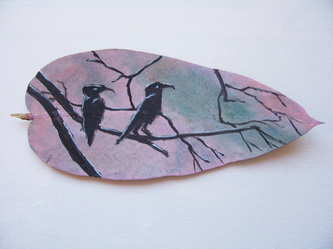 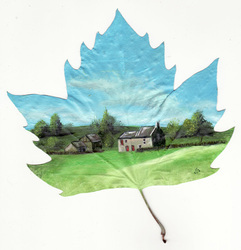 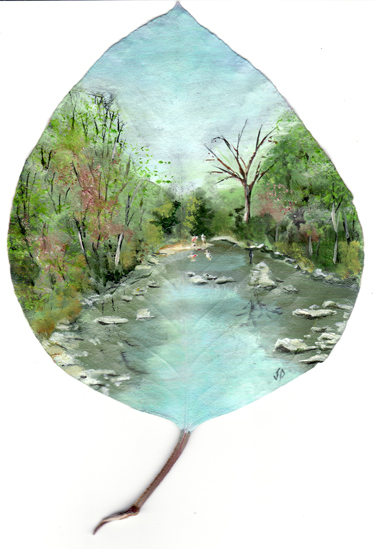 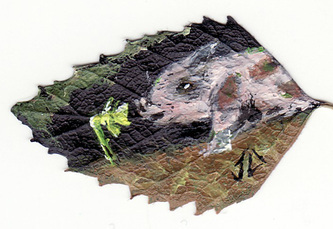 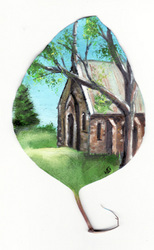 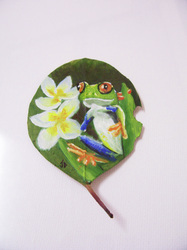 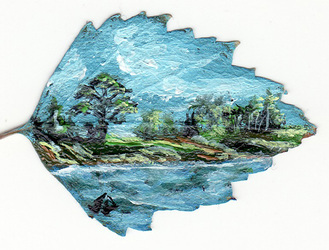 During my first markets art sale I was approached by a couple of people requesting to order some of my leaf paintings. 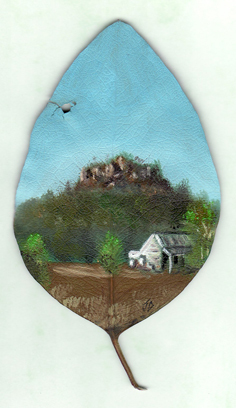 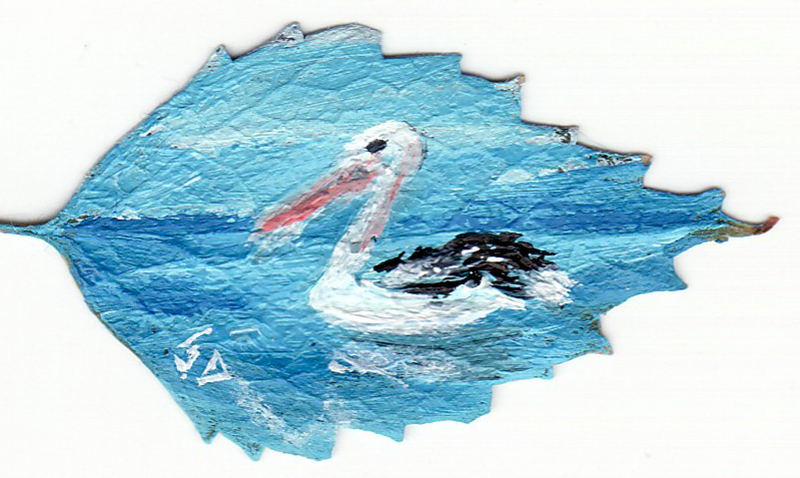 The first commission was for a series of three paintings; a possum, a goanna on a NT cattle Station and a landscape scene from the Winburdale River as seen from the back of their property. 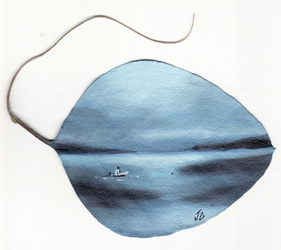 The second commission was even more exciting. A lovely Canadian lady requested a series of sixteen paintings. 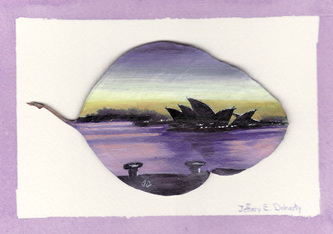 Fifteen to go back to Canada in November as gifts for her family and friends when she visits in November. The final painting is to be a fairy grotto for her daughter Victoria.